Double-sided metal clock swivels in a wall-mounted bracket for unique placement opportunities. The two clocks run with two separate movements, and may be set to the same time, or different time zones. A rich brown finish complements the aged parchment dials. Black Roman numerals and black spade hands are featured. 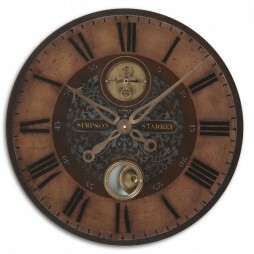 The Simpson Starkey is an elegant wall clock that is the epitome of style and taste. This beautifully designed clock has beautiful features and a stunning visual appeal. 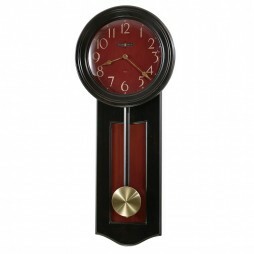 The clock has dark, rich tones of similar hues that compliment each other well. This clock also has an elegant hour and minute hands. 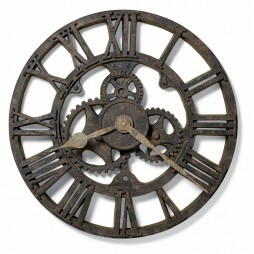 The hands are accented by an aged brass reproduction of an antique clock mechanism. This clock also has an internal pendulum. It also has a second dial that displays rusty gears and seconds hand. This beautiful wall clock is a stunning piece of home decor you will love to have in your home or office. 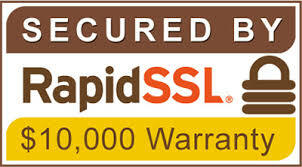 It’s the perfect decorative piece of home decor that will add an elegant touch to any room it’s in. 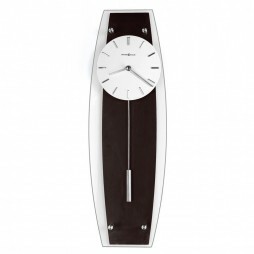 Enhance the stylish appeal of your living room wall with the Howard Miller Cyrus Large Contemporary Wall Clock. 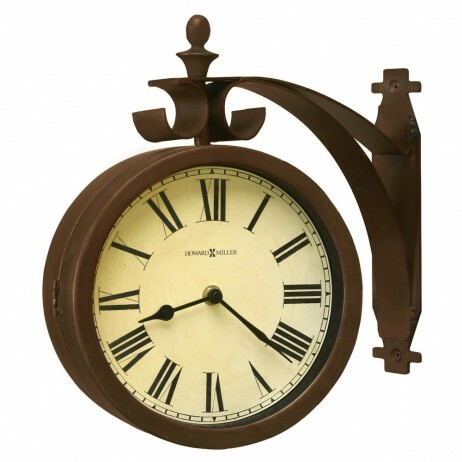 The wall clock features a cylindrical pendulum in a metallic finish that gives it a unique touch for any room. The round-shaped dial has a white finish. The dial has raised markers and straight hands that complement with a brushed nickel finish. The curvy back panel makes a contrasting effect with black coffee panel and white dial. The flat glass covers the entire clock from the front and features a wedge look. This stylish clock is crafted from premium-quality material and comes with a warranty 12 months to adorn your home space for years to come.